34 Responses to Indecisive Me! Well it isn’t up to me, but if I were you an I could get a doll for my birthday, I’d probably get Isabelle for Christmas just because she will be leaving soon. My gosh, I’m having a similar problem. My thought is Isabelle will be gone by December, but Jenna will be there for a couple more years… I would go for Isabelle and Jenna for your birthday, that way yo can get both. Just think with Saamantha, They retired her before you could get her, but Isabelle wouldn’t be brought back. see if you can put one or both on layaway until your birthday. see how many months ahead of your birthday you can start a layaway. I would get Isabelle if you really want her. Personal shoppers have told me how high she sells and how she is predicted to sell on the secondary market very well. I would just wait 2 months to get #61. Imagine how frustrating it would be to really regret not getting Isabellle later on. In the worst case scenario, you could always wait 2 months to get #61. The decision is totally yours, but I would recommend Isabelle both because I have her and because knowing which dolls you have, she might be a little more unique. Isabelle is really pretty but Jenna is too! Hmm. I’d personally get Isabelle, since when the Christmas rush hits, she’s going to sell out fast. (taking from my experiences with Molly in Christmas 2013) #61 will still be there for your B-day, so, yeah. That’s just my opinion, but I highly suggest getting Isabelle for Christmas. 😉 Good luck! If you don’t get Isabelle now, she’ll be gone. 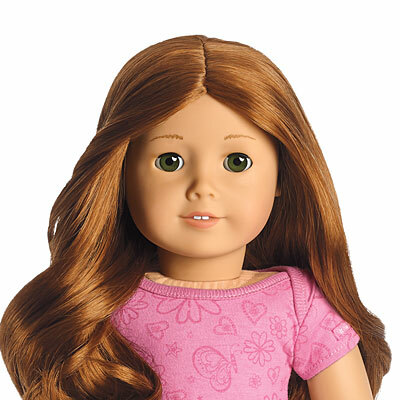 Get her first , and if and when you get another doll, get #61. I would get Isabelle because she won’t be available anymore after the first of the year. MAG #61 is the one that just came out so you will have more time to get her. Although both these dolls are beautiful (and I have Isabelle!) I would recommend Isabelle, as she’s only here for 1 year! The stock photos do not do her justice! Hope this helps! I think you should ask for Isabelle for Christmas and get MAG#61 for your birthday. Because Izzy would probably be like double $120 later because she would be retired, and MAG#61 would stay at her normal price until, who knows when? That’s my advice. You should get Izzy she will be retired soon and you could get 61 later also 61 is a TON like Saige and Felicity. Even though I like # 61 better than Isabelle, I would get Isabelle since she is going to retire by the end of the year. #61 just came out, so I don’t think she will be retiring any time soon. I totally understand your problem. I think most ag collectors go through this all the time :D. I guess you could get Isabelle of of ebay, but she will be really expensive. 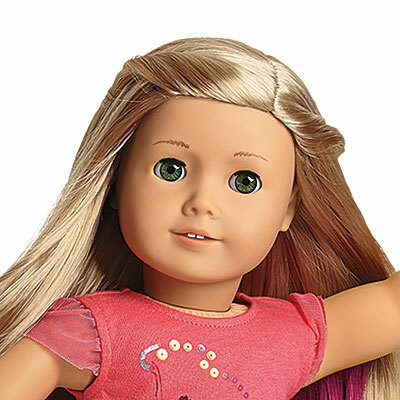 I don’t have either doll, so I can’t tell you stuff like “Isabelle’s hair highlights are lots of fun” or “#61 is super photogenic” (I have no idea) but I think you should get Isabelle and you will only have to go 2 months without Jenna, who is probably always gonna be there when you are ready! Isabelle. she’ll be gone after december. Plus she’s so cute! Personally, I think Isabelle. She is the prettiest girl of the year yet. She comes with an awesome outfit and book, not to mention her highlights. I am possibly going to get her… you can go to my blog bluebonnetsandbees.blogspot.com to vote on what I should get. the discion is totally up to you. I had the same problem! I was choosing between Isabelle and #55! I am going to get #55 for my B-day (Oct. 18th) Hannah from Agdtime really helped me! She has Isabelle, BTW. I think you should get #61 if you want to do her hair or Isabelle if you don’t really care about doing her hair. I really hope this helps! I think you should buy Isabelle. She’s only available for one year, and MYAG #61 just came out, so she will be there for at least 2 years, so you could buy her later. Hope that helped you out. Ahh! There are two Bella’s! Thanks for changing the way you sign off! Although I have seen a vast majority of people saying the same thing I’m going to say, I am still going to say it. I (personally) would get Isabelle first, then wait two months for Jenna. It works out nicely with the timing, so that you could get both– while if you got Jenna first, you might not end up with both dolls. Jenna should still be available after Christmas, but we know that AG isn’t going to sell Isabelle after Christmas. I hope that you love whichever doll you choose. I would say get Isabelle now while you still can, then get Jenna. I regret not getting Saige when I could have because I could still get the one I got now. Jenna just came out, so she’ll be here a while.